You can go to an evangelical church on a Sunday and be told: "Christian, you are loved by God, no matter what you've done. God could not love you more than he does." You can go to another evangelical church and be told: "You're a wretched sinner". The emphasis can feel very different, and yet both churches are teaching truth. Holding both truths together in balance can be tricky but it's essential for healthy Christian living. Overemphasizing one at the expense of the other causes all sorts of problems. Intro: What does God think of me? 1. How can God love me when he hates sin? 2. How strong does my faith need to be? 3. Does God only love me because he has to? 4. Does God's love for me vary? 5. Will God still love me if I never obey him? 6. Should I ever feel guilty? 7. Does God reward us differently? 7.5. But does God really still love me? 8. Why is change so slow? 9. Why are believers warned not to fall away? 10. How do I enjoy greater assurance of God's love? Q: I'm a Christian: God loves me in Jesus – is there really nothing I can do to make him love me more or love me less? Errm, yes and no. Q: Does God love all Christians the same? Errm, yes and no. Q: Do some Christians get greater reward in heaven? Yes! How come? Where does grace fit in? Q: Should I ever feel guilty? Is that appropriate? Q: If I'm always forgiven, what's going on when I confess sin? Am I even more forgiven? This is a thoroughly helpful book by a pastor who loves people and spends a lot of time listening to them and hearing the questions they actually ask (which are not always the questions we pastors want them to ask!). Matt Fuller engages the reader with a light touch and earthy pastoral realism, behind which lie a clear theological mind and careful study. Christians struggle if we fail to believe in both the wonderful status given us forever when we are born again AND the fact that the Lord responds to how we then live. Matt Fuller’s book is an accessible, down-to-earth, sustained reflection on how we can keep these important truths together. Christians are most harmed or helped at the point where one biblical truth intersects with another. Matt Fuller has done a superb job in taking us to the point where our unconditional, unearned and secure status in Christ meets our dynamic, progressive transformation in Christ-likeness. The book manages to affirm the assurance of our union in Christ and yet not explain away the legitimacy of Christian guilt, and divine rewards. I love how the book refuses to be reductionistic. It affirms that obedience in Christ pleases God and our sins, while atoned for, still grieve him. This book is clearly written, drenched in pastoral concern, answering real questions and colored with helpful illustrations. It's the book I wanted to write and it's a book I loved reading. I really enjoyed this book by Matt, it is really accessible and surprisingly enjoyable given at times the weighty questions it's addressing. If like me you're not a big reader you'll find this book just right. 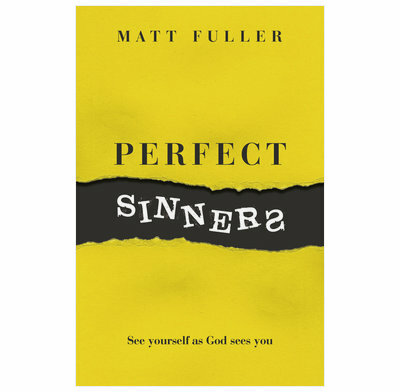 Matt uses great examples and stories from his own ministry to highlight the sin and doubts we all go through and repeatedly reminds us of our standing before God because of Christ; wretched sinners made perfect by his grace. Thank you Matt for writing this book. This book has really clear answers to questions which most (if not all) Christians ask themselves from time to time. Matt is a great communicator and writes with a pastor's heart. He wants us to enjoy our status as adopted children while we continue to battle against sin on our way to heaven. I'll certainly be lending my copy out to loved ones.